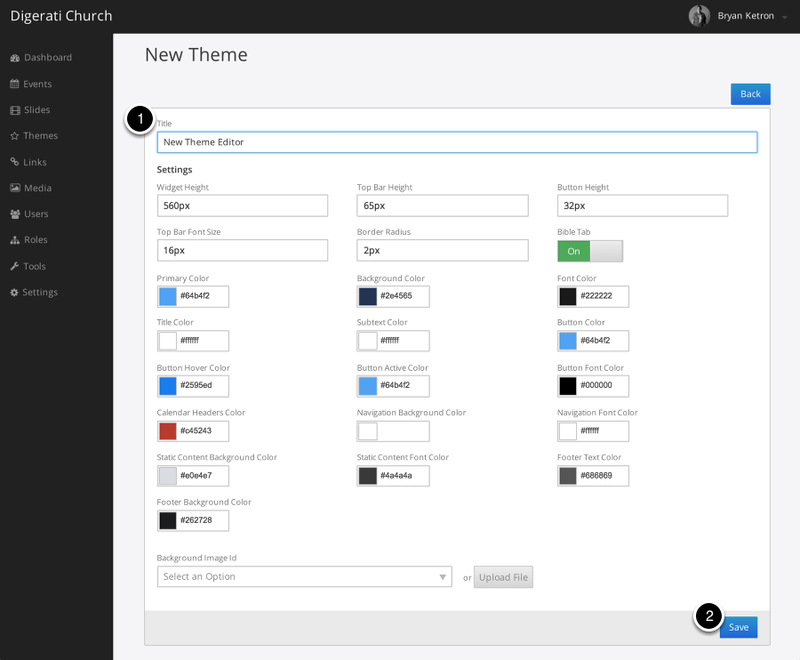 From the Admin, Select "Themes" from the left side navigation. On the New Theme Page, create a unique title for your theme. Once you have added a title and made the basic changes to your theme, click "Save"
You will be notified that your Theme has been created. 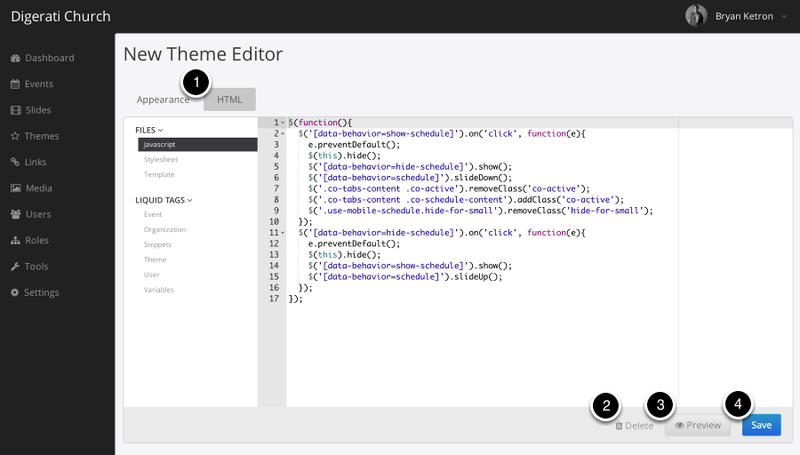 Click into the new theme you created to access the advanced options. To access the advanced options, select the "HTML" tab. If you would like to completely remove your theme, select "delete". This is permanent. 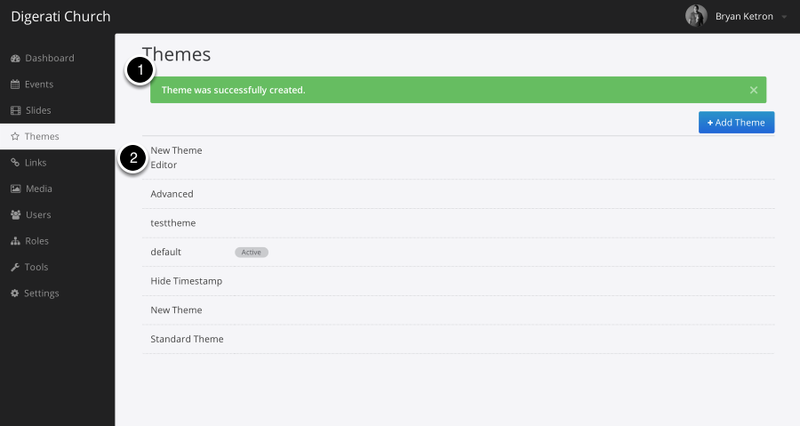 If you would like to preview what your theme will look like, select the "Preview" button. To save, select the blue "Save" button.